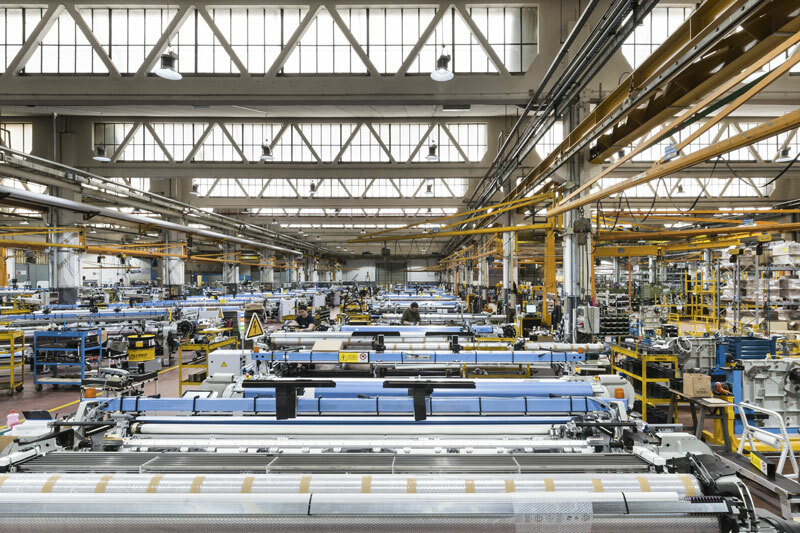 Itema has a manufacturing site for its weaving machines at its headquarters in Italy. Itema has introduced the second-generation R95002denim rapier weaving machine designed to enable denim weavers to meet the needs of the fast-changing denim market. A living fabric and an icon of style, denim is part of million people’s lives. In all forms — torn, scraped, washed-out, aged and distressed — denim has been the king of fashion for more than five centuries and continues to evolve. At first used to produce workwear, denim has now become the undeniable heart of the most prestigious fashion brands’ collections, which are changing faster and more frequently than ever before. These frantic evolutions certainly impact production of the fabric itself, forcing denim weaving mills to quickly adapt to market’s demand. In fact, denim mills are increasingly facing not only constantly evolving fashion trends, but also more demanding customers and shorter lead times to fill orders. 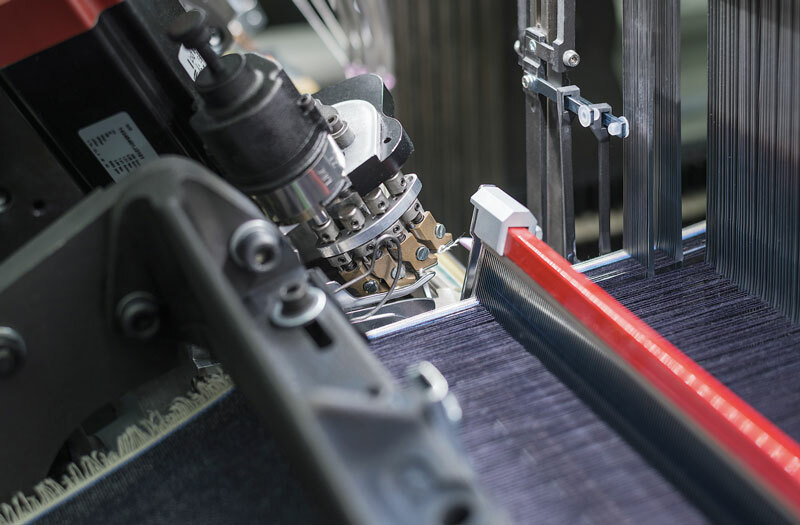 Technology — agile and adaptive — is key when it comes to enabling denim mills to react and counteract the fast pace of today’s world and, at the same time, stay abreast of their customers’ requirements. In the amazing world of weaving, indigo fabric remains one of the most demanding and challenging fabrics to produce. 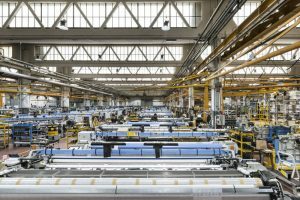 Italy-based Itema S.p.A. developed a rapier weaving machine tailored exclusively to denim weaving. Now in its second generation, the Itema R95002denim has been improved and further fine-tuned to enable denim weavers to meet fast-changing and constantly evolving market requirements. Key factors when it comes to denim weaving machines are production speed and fabric quality. Higher machine revolutions per minute (rpms) lead to greater production capacity and superior fabric quality — which in denim weaving means no fabric defects such as starting marks and irregular fabric appearance — guaranteeing superior attractiveness for buyers and brands. A further important universally valid factor in weaving is user-friendliness, and in this field the new Itema R95002denim features many advances. The R95002denim was recently launched during the ITM 2018 exhibition in Istanbul, Turkey. According to the company the new denim-dedicated Itema weaving machine excels due to unparalleled cost savings, superior fabric quality and outstanding user-experience. The iSAVER™ eliminates waste selvage on the left-hand side of the fabric to offer cost savings and sustainable weaving. Savings are one crucial feature of the R95002denim. Optimization of the main mechanical components allows a considerable energy consumption reduction, and the machine is also equipped with iSAVER™ — a new device that eliminates the waste selvage on the left-hand side of the fabric thus leading to savings. Designed and developed by ItemaLab – the Itema advanced innovation department — iSAVER™ combines innovative mechatronic principles to reduce weaving costs. Working up to four weft colors and ensuring maximum user-friendliness, the device allows weavers to save 2,000 euros ($2350) per machine per year as a minimum savings — variations in savings are a result of different yarn cost. Saving raw materials, such as cotton, reduces wasted resources and results in a reduced need to process waste. The redesigned and optimized tape-hook system on the R95002denim completes the savings picture by significantly extending the components’ lifetime. The new Itema tapes developed by Lamiflex, an Itema Group company specializing in composite materials, feature an innovative configuration with a triple layer of carbon fiber leading to maximum reliability. The tapes represent the first result of the research and development cooperation between the two companies after the Itema acquired Italy-based Lamiflex S.p.A. Specifically considering denim fabrics, uniform fabric appearance and softer hand-feel are the seals of Itema-woven indigo fabrics. With the R95002denim Itema makes a further step toward denim perfection by combining the Itema Shed Geometry and the new rapier weft transfer. The new SK UltraLight Rapiers, specially designed to meet specific indigo fabric needs, feature a design that ensures their reduced dimensions and maximum lightness. Streamlined and lightweight, the SK UltraLight rapiers further enhance the Itema Shed Geometry allowing an even smaller shed opening for improved fabric quality. Great strides also have been made to guarantee an outstanding user-experience including optimized machine ergonomics with a lowered front frame to facilitate loom accessibility and the new ergonomic rapier opener with knob. Additionally, the new Itema Textile Help dedicated to denim fabrics is a troubleshooting software that when loaded directly on the machine console provides real-time support to the weaver to quickly overcome the most common textile difficulties that may occur during the weaving cycle. Brand-new, advanced devices now available with the new-generation R95002denim loom are specifically designed to deliver tangible benefits to denim mills running the new Itema machine, guaranteeing a competitive advantage in the market. Whether a weaver is looking for fabric quality, reliability, waste minimization, sustainability, user-friendliness, or all of the above when producing denim fabrics, there is now a new, high-performance weaving machine that delivers all of these benefits and more.